Government has clarified on the new combined HIV/AIDS drugs that have been introduced by the Ministry of Health in the Public health Institutions. 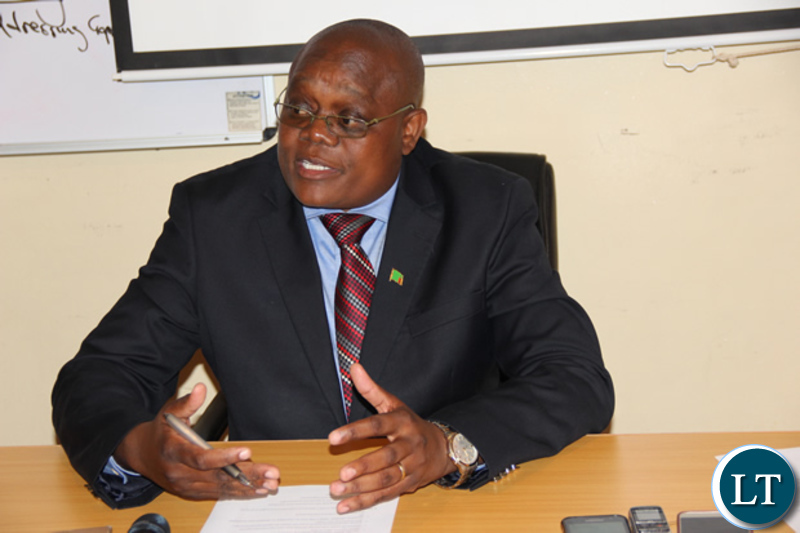 Ministry of Health Permanent Secretary for Technical services Kennedy Malama said the ministry does not intend to transition everyone who is on anti-retro viral drugs to the new DTG drugs because it will be done in a phased up manner. He has since appealed to patients who are adherence to the old drugs not to rush and switch to the new drugs especially when they are able to reach viral load suppression. The Ps added that the Ministry of Health is still investigating and comparing the two drugs. Bwana MP are you really serving a purpose of you being so genuine as a true PF member or you are masquerading MD, UPND or NDC. Where do you belong just come out in the open, you are not clear on the point. If you are really pf you mean you don’t know the procedure how lodge in a complaint ? Why use this media to express your feelings? Wizard witch Pompwe, what are you talking about? Didn’t they already start giving DTG in June of 2018. Maybe the stroke related deaths caused by TDF will reduce. The only thing I have noticed every time patients in Zambia switch drugs it means the developed countries have a moved to better new drug or they are about to. DTG became the preferred drug in SA in 2013 – 15, now every patient their is on it. In Botswana it was in 2016 – 17. In Malawi it is very recent when they moved to TDF. In Zimbabwe they patients buy whatever drug they can afford. A ministry which is doing investigations based on how many people will die while on the new drug as compared to the old drug. The developers should have done the stupid investigating before releasing it to the public not giving it to the Zambians so as to experiment with people’s lives. If there is something you can investigate independently, it’s Sondashi Formula. Sondashi aims saving lives not making money like the developers of those drugs. We want an HIV free Zambia. When introducing drugs, please DO NOT experiment. Let SA, EU & US medical centers where we evacuate our dying patients with advanced diagnostics tools to perform this function. WHO will accredit when drug is ready for general use. Bafimbwi where probably PAID to experiment on Zambians. They care more of their pockets than for their brothers and sisters that need help. Just look at their procurement methods. CAN YOU TRUST THEM WITH NEW MEDICINE?